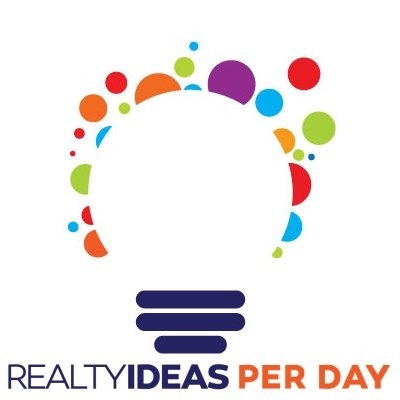 Welcome to Realty Ideas Per Day. Most agents to not engage on Social Media, often because they don't know what to say. Our short-form posts are designed to give you an idea every day to talk about on social media. Let's get out there and engage our spheres and be the conversation starter. And along the way, get business. $10,000 for Upgrades? What would you do? Hey everyone, this is Bob McCranie with Texas Pride Realty and your realty idea of the day is, what would you do with $10,000 for home improvements? If you won the prize tomorrow and you had extra $10,000 in your account, what would you change about your house? Post that as a question on your social media. See how people reply. Some people will be like, "I'll change my kitchen," or, "I'll change my bathroom," or, "I'll paint the house," or whatever. The question then becomes, is it better for you to do those repairs or should you and I go out and find you a house that has the fabulous kitchen, or has the fabulous backyard, or has whatever it is you're looking for? Hey, let's plant the idea that people need to move and buy a home. Asking them what they would do with $10,000 is a seed for the idea that what they have may not be what they want, and we can go find that. Bob McCranie. Texas Pride Realty. Always be looking for the angle to see how you can help your clients buy or sell a new home. Take care and have a great day. Hey, everyone. It's Bob McCranie with Texas Pride Realty and your realty idea of the day is the Starbucks open house. So, let's say that you don't have a listing right now that you wanna hold open or can't hold open and you need to be able to get clients. Go to a Starbucks or a local diner or anywhere you like to go hang out for a couple hours. Have breakfast, have a cup of coffee, and put a sign on your table that says, "I'm a realtor, ask me a question." Now, be sure this is a place that has good flow of traffic on a weekday or weekend because you don't wanna sit there at a place that you're the only person. But sit there, put a sign on your desk, have it on the back of your computer. One of my agents wears a hat all the time says, "I'm a realtor, ask me questions." Put that up there. Hold an open house no matter where you're at and see people will come up and ask you stuff. People will come up and start a conversation if you invite them. So, put the sign up, put it on the back of your screen, put it on the back of your hat, whatever. "I'm a realtor, ask me questions." Go do a Starbucks... There is no excuse for not having an open house almost every weekend. I do Facebook open houses. I sit in front of my computer for an hour and just talk into the computer and whoever dials into the Facebook Live, gets to talk to me. Bob McCranie, Texas Pride Realty. There'll be another realty idea of the day posted tomorrow. Bye-bye. Hey, everyone, it's Bob McCranie with Texas Pride Realty. And your realty idea is taxes and shredding. So it's tax season, you know, obviously it's not due until April, but a lot of people do them early. Don't know why. Anyway, so talk about the fact that record retention is something they have to do. I think it's four years worth of records you have to maintain, but that 5th, 6th, 7th, 20th year, it's time to shred them. So what we do in our company is we have a shredding day. We hire a shredding truck, costs us $200 an hour for the truck to come to a parking lot. And we invite people to load up their cars and bring boxes and boxes of things to shred. It's shredded and then recycled and you don't have to worry about identity theft. So talk about the taxes, talk about your receipts, talk about records, and talk about you hosting a shredding day, or if you don't wanna host one, find someone who is doing one, maybe a local bank or a mortgage company you tie in with. Host a shredding day, protect their identity, help them shred their documents. Take care. Bye-bye. Hey, everyone. It's Bob McCranie with Texas Pride Realty and the realty idea of the day is training, training, training. So, you're a real estate professional. In your state you're probably required to take courses every year to renew your license. You need to talk about why you are such a well-trained, amazing realtor. Go out there and talk about your training, go out and talk about the training you wanna get this year. Maybe you wanna get a certification. GRI or CRS are the best two, my opinion. Sorry. GRI or CRS, go get those designations. CRS will take you a while. It's so worth it. So, anyway training, training, training. Make your sphere aware of how hard you work to stay in this business because two reasons. One, they need to know you know what you're talking about because you have a lot of training. And two, you wanna scare Sally off because Sally is gonna want to get her license because she watched HGTV and saw how amazingly easy it is. Show them how hard you have to work, how hard you have to study, and what it is you put in so that people know, one, you're smart and two, this is not just something you woke up one day and did. Take care. Bob McCranie. There'll be another realty idea of the day posted tomorrow. Bye-bye. Hey, everyone. It's Bob McCranie with Texas Pride Realty and your realty idea of the day is a pet photo contest. So, let's say you go out on your Instagram or your Facebook and you come up with a hashtag like, "#bobspetcontest." And you ask people to post the best pet pictures they have of their pets. Whoever wins gets a Starbucks card, gets whatever, and you get connection to them. This doesn't sound like it's a real estate post. It's totally a real estate post. So, when you do this, go out to their post, comment on it, create that connection, and then name the winners. Whoever wins gets a prize. You take it over, you do a pop-by, you have a reason to go talk to them and ask for the business. But by doing this, you also increase your social media connectivity because when you have conversations, Facebook and all the others go, "Oh, they like to talk to each other." And then when you have a listing or open house or something like that, they say, "These people talked before, let's show them that again." Bob McCranie, Texas Pride Realty, pet photo contest, it'll be fun. Bye-bye. Hey, everyone. It's Bob McCranie with Texas Pride Realty. And your realty idea of the day is ask for the business. How many times do you see salespeople out there and they're promoting themselves and they're doing things but they never come around to, "I'm ready, are you ready to buy and sell? I'd like to be your agent." Ask for the business. Go out on your social media and say, "Hey, I'm Bob McCranie with Texas Pride Realty, insert your name here, and I would like to list your home," or, "I would like to help you buy or sell a home." "Do you know just one person looking to buy or sell a home, please refer them to me." Ask for the business. We make so many other conversations starters, we do so many things, but do we ask people and say, "Hey, I want to be your person." So ask for the business and see what comes back. It doesn't hurt to ask. Bob McCranie, Texas Pride Realty. There'll be another realty idea of the day posted tomorrow. Go ask for the business. Bye-bye. Hey, everyone, Bob McCranie with Texas Pride Realty. And your realty idea of the day is winter pool and pond maintenance. Yes, it's winter. Nobody should be getting in the pool, maybe the hot tub, but not the pool. But what do you have to do to maintain your pool and your pond in the winter? So I know if you have a pond, you have to keep the fish warm. There are pond warmers you can put in. I know with a pool, like you have to keep the leaves out of it, the pump is still running hopefully, don't leave the pump dry, don't leave the pump not running. And you want to have the water at the right level and you want to clean the pool and get all the leaves out from the fall. But in your area, what are the pool and pond maintenance ideas that people need to know? Now, above ground pools, I don't know because I never had one. But I have an inground pool, I know what to do with that. And I've had friends who have ponds, so I know to do that. But talk about that because people in your area may have an inground pool or above ground pool, they don't know what to do with it. So pool and pond maintenance during the winter. Bob McCranie, Texas Pride Realty. There'll be another realty idea of the day tomorrow. Hey everyone, this is Bob McCranie with Texas Pride Realty and your realty idea of the day is the value of land versus the value of the improvement on the land which is the house. Bad drawing. Anyway. So in parts of the country the land is worth more than the improvement that's upon the land. In the Texas area the improvement on the land is worth more than the...I'm sorry, the improvement is worth more than the land. So when you're moving from California or the East Coast and you're used to paying extraordinary prices there for a three bedroom, two bath 1950s pier and beam house, well that house is really not the value. The land underneath it is the value. And because you have such a narrow strip to live on, that land is really worth something. In Texas and in some of the middle states we have land galore. So our land value is nominal but the improvement on the land is worth more. So talk about your area. If values are going up and down talk about why. And there's two components: land and improvement. Take care. Bob McCranie. There'll be another realty idea of the day posted tomorrow. Bye-bye. Hey, everyone. It's Bob McCranie with Texas Pride Realty. And your realty idea of the day is find the people in your neighborhood who have kids who are college bound. Find the kids in your neighborhood who are taking their SATs or ACTs or do they still not even take those? I don't even know because it's been so long. It's been a long time. But, find the parents with kids going off to college because you know what, they'll need to downsize soon. Find those kids now. It's January, they're gonna be taking their tests through the spring and then applying to colleges. And maybe you talk to people about applying to schools. Find the kids that are about to go to college. Their parents will want to downsize in September, build the relationships now. This is a great social media post, "Hey, are your kids about to take the ACT or SAT?" Just, you know, come up with questions and meet people in your sphere and then find out if those people need to downsize at the end of September, October when those kids finally go to school. Take care. Bob McCranie. There'll be another realty idea of the day posted tomorrow. Bye-bye. Hey, everyone. It's Bob McCranie with Texas Pride Realty and your realty idea of the day is snow removal tips. So we don't get a lot of snow here in Texas, but when we do, we don't know what to do with it. We don't have the plows, we don't... We're not built for this. But back East, they're built for four feet of snow all the time and they still go to school, but how do you remove snow from in front of your house? How do you remove ice? Is it by hiring a company? Do you get the shovel out and send the kids? What do you do or do you do what Dallas does and just wait for the next day, it'll melt? So snow removal tips. How can you do it without straining your back or hurting yourself? Who can you hire to come do it? I remember when I lived in DC, we always had to re-shovel our driveways because as soon as the plow came by, it put the snow right back in front of the driveway again. So, anyway, snow removal tips, it might be a good time to talk about it in your community and if you don't have snow, talk about something else. Just keep getting out there on social media. Take care. Bob McCranie, Realty Ideas Per Day. There'll be another realty idea posted tomorrow. Bye-bye. Hey, everyone. It's Bob McCranie with Texas Pride Realty. And your realty idea of the day is best schools. Please ignore the horrible apple I tried to draw on this, it's not worth your time. Anyway, the best schools in your area. People are moving into town and they want to know where is the best place to put our kids in school? And best can be multiple things. Best could be with the highest graduation rate. It could be with the best teachers. It could be a special needs program that people don't even know is there. There are lots of kids that need different things. Reading skills, Math skills, special needs sort of skills. Find out what your school systems have and then highlight them. Go interview principles, go interview teachers, go interview school board members, they would love to be on your little videos and out to the community. Talk about schools, what's the best. And again, best could be different for each person. So anyway, Bob McCranie, Texas Pride Realty. They'll be another realty idea of the day posted tomorrow. Bye-bye. Hey, everyone. It's Bob McCranie with Texas Pride Realty and your realty idea of the day is, "Best value neighborhoods." So, what defines best value? You do. So, best value could be where you're going to get the lowest price house. Best value could be where you're going to get the most appreciation. Maybe the best value is the largest house for the smallest amount of money. Maybe the best value is a new home, construction home that is in an area that's so far out that it's really inexpensive. Think about what defines best value and then make some videos and picture posts about what is best value. And maybe this is a good poll to put out to your sphere of influence. "What do you consider to be the best value in a home? Is it lowest price? Is it the design you want? Is it the area? What defines best value for you?" And then follow up with each of the people who post on there about what you could do for them to show them the best value homes. Anyway, Bob McCranie, Texas Pride Realty, there will be another post tomorrow. Bye-bye. Hey, this is Bob McCranie with Texas Pride Realty. And it's time to talk about garage doors. Have you ever backed into one? Have you ever accidentally forgotten to raise it, or had the lock thrown on it when the garage door was trying to open it, or whatever, or had the springs break? Let's talk about how garage doors function. Let's talk about companies in your area that repair garage doors. Let's talk about how garage doors affect a home in a storm. If the wind can push through that garage door, get into the house, it can hurt the home. So let's talk about insulating garage doors. Let's talk about garage doors in a way no one has thought about to talk about in their house. So come up with a few ideas. Maybe go to a garage door company and interview the manager and say, "Hey, what should I know about a garage door in a home?" It's a part of the house nobody thinks about it. It would be such an interesting post and do a little video on this and talk about, you know, "Do you have the one-piece garage door that raises together, or is it, you know, the four slats, or do you have one that opens up?" Oh, that'd be a... I mean, I would love to watch this post. Tag me in it. Bob McCranie, Texas Pride Realty. There'll be another realty idea of the day tomorrow. I want to see garage doors. Hey, everyone. It's Bob McCranie with Texas Pride Realty and your realty idea of the day is heating and furnaces. So, we are in the dead of winter right now in Texas. And January and February are our coldest months and we're already using our heaters and our furnaces like crazy but not nearly as much as our friends up in the north. So, what is it that people who are moving to your area need to know about heaters and furnaces in your area? Up here...down here we have mostly gas and electric. I know on the East Coast there is a lot of oil. So, people have to have oil in their tank to run their heating furnaces through the winter. What is it about your area that people should know about? Everyone knows they're gonna get four bedrooms and three baths, they don't know how they're going to live there. So, talk about heaters and furnaces in your area, how people winterize and take care of things. Talk about what it's like to own a home here. I know that I have to have my heater checked every...I have the air conditioner checked in spring and heater in the fall just to be sure there's no problems with the gas line and that the filters are changed and everything is fabulous. Anyway, Bob McCranie, Texas Pride Realty. There'll be another realty idea of the day posted tomorrow. Bye-bye. Hey, everyone. It's Bob McCranie with Texas Pride Realty. And your realty idea of the day is to ask the question, "Is this the year you buy yourself a house?" Ask your sphere, is this the year that they want to buy or sell a home, "And if so, give me a call," insert your name, insert your company. So just asking people the idea and putting in their mind that this could be the year that they go ahead and make that purchase. This could be the year where the market's shifting and houses not flying off the market in hot neighborhoods and hot areas. Maybe buyers are ready. So let's go out there now... Or maybe sellers are ready. Because hey, they miss this market, they can still catch up on the new one. So let's go ask people, "Is this the year you buy or sell? Is this the year... Maybe your kids have all graduated. Or, you know, you had a baby, it's time to get a bigger house. Is this the year you buy or sell a home?" Ask your sphere, see who answers, comment back. Bob McCranie, Texas Pride Realty. It doesn't hurt to ask. There'll be another realty idea of the day posted tomorrow. Bye-bye. Hey, everyone. It's Bob McCranie with Texas Pride Realty and your realty idea of the day is to talk about, sorry, kids, it's time to go back to school. So, school is gonna be starting back up from winter break, people are gonna be forgetful, they're gonna drive out early in the morning and not realize there are kids out there. Let's do the same warning we did in September when school started, let's remind people that there are kids now out at school buses stops and walking to school in the winter on maybe on ice and snow. Take extra time in the mornings, drive carefully. You also might wanna talk about winter snow closings. If you are in an area where there is possible snow closings, talking about where people should tune in, how to find out which schools are open or on delay. I bet a lot of parents already know this, but you might be a beacon of knowledge to those who don't. So, anyway, talk about school, talk about kids going back to school. This is also another time to talk about maybe there are kids in your neighborhood who don't have enough, they don't have school supplies for the next semester, things of that nature. Talk about going back to school mid-year. Talk to you later. Bye-bye. Hey, everyone. It's Bob McCranie with Texas Pride Realty. And your realty idea of the day is storage ideas. So we all just took down our holiday decorations, we're trying to put them in our shed, or in our attic, or in a closet somewhere. What do you know about storage? What do you know about asking people maybe, "Hey, do you need a home with more storage? Let's go buy you that." "Hey, here's a storage company down the road that has these little cubes and they're running a promotion this month." Maybe you tie in with somebody like that. Maybe you go to the container store and find the cool little close-lid sort of plasticy things that people put all their stuff in. Come up with some way for you to talk about storage and why storage is so important in a home and how you can facilitate them having more storage. "Hey, maybe it's time to clean out your garage and get a system in the garage for putting things away." Maybe it's time to get a shed in the back of the house. Come up with something, talk about storage. People need it right now. Take care. Bob McCranie, Texas Pride Realty. There'll be another realty idea of the day posted tomorrow. Bye-bye. Hey, everyone. It's Bob McCranie with Texas Pride Realty and your realty idea of the day is to ask your sphere what are the projects they wanna do around their home in 2019. So, the beginning of the year is a good time to be thinking about, "Hey, new start, fresh ideas, what can we do? Do we need to do exterior paint? Do we need to do interior? Do we need to do floors? Do we need to remodel that bathroom? What do we need to change in our kitchen?" Ask your sphere what they would change in their house and maybe ask them to take a picture of what it is right now. Oh my gosh, the backyard is just horrible. Let's take a picture of it, show it online. And I don't know, maybe make it a little contest. Who has the worst problem that needs to be fixed? Whoever wins gets a $50 Home Depot card. Whatever you wanna do. That actually may be a really good idea. I'm gonna steal that. Anyway, so, what is it you wanna do around your house, take a picture of it. Will the the best idea or the worst idea get some $25 gift card or whatever? Here's the thing, everybody wins. And when you get those comments, comment below. Make the connection. Talk to you later. Bob McCranie. There'll be another realty idea of the day posted tomorrow. Bye-bye. Hey everyone, it's Bob McCranie with Texas Pride Realty, and your realty idea of the day is, ask for business. So, I'm gonna put out on my social media my Christmas wish list. And my Christmas wish list is to get a referral from everyone in my sphere of influence. I know that a lot of people have family and friends moving into town and all I want for Christmas is a referral. So, it's super easy. If you just know one person looking to buy or sell in the Dallas Fort Worth area, please send them to me. That would be a lovely Christmas gift from you. That's gonna be my post. Put it out there on your social media. Put it out there on Instagram and Pinterest. You can make a less than a one minute video. Put some subtitles in it, or just do the text like I do. Ask people for the business. Ask people for the referral. Bob McCranie, Texas Pride Realty. There'll be another realty idea of the day posted tomorrow. Bye bye. Hey, everyone. It's Bob McCranie with Texas Pride Realty and if you watch my broadcasts at all, you'll know that one of my realty ideas per day that I repeat a lot is fire safety. So, holiday fire safety is important. A lot of people have live trees, they forget to water them. There are some videos out there, you don't even have to make the content on this. You can just go rip off and duplicate. R and D. You can R and D the content on this. There are videos out there from fire departments showing how fast a tree can combust if it's not watered. You can talk about light strings. Be sure that all the light strings you use, none of them are frayed or damaged, and don't overload the number of light strings. LED lights, you can put a whole lot of them on one string, but incandescents, which they still sell, not everything is LED. So a lot of the incandescents they sell, you can only put three strings together and you're overloading it. So be aware of what the ratings are for your lights. Be aware of what the ratings are for your electrical cords. Don't overload your system. Be the beacon of knowledge on social media for fire protection during the holidays. Take care. Bye. Hey everyone. It's Bob McCranie with Texas Pride Realty and your Realty Idea of the Day is Get Your Newsletter Out. If I time this right, this is the first of the month and we need to get your newsletter out to people. I am very much about diversity, and I like to celebrate all holidays. So in my newsletter, I'm gonna put in there different days of Hanukkah, Kwanzaa, Christmas, obviously some of the other events around Christmas, Christmas Eve, New Year's Eve, things like that. So I'm also gonna go back a few posts ago and I'm gonna include the safe ways to get home on Uber and Lyft if you're going to a party, so that you don't have to worry about people getting too drunk along the way. So go out there and celebrate all the holidays. Get your newsletter out to your sphere. Put the newsletter, if you can, make a pdf of it and put it on your website and then share that on social media. So Bob McCranie, Texas Pride Realty. Get your newsletter out, celebrate everyone because, you know what? They all buy houses and we need that money, so let's sell those houses. Take care. Bye-bye. 2018_12_01 Newsletters RENAME Audio Player 00:00 01:02 Use Up/Down Arrow keys to increase or decrease volume. Text Size Copy To Clipboard Print Rate This Job Download Media Download Transcription Hey everyone. It's Bob McCranie with Texas Pride Realty and your Realty Idea of the Day is Get Your Newsletter Out. If I time this right, this is the first of the month and we need to get your newsletter out to people. I am very much about diversity, and I like to celebrate all holidays. So in my newsletter, I'm gonna put in there different days of Hanukkah, Kwanzaa, Christmas, obviously some of the other events around Christmas, Christmas Eve, New Year's Eve, things like that. So I'm also gonna go back a few posts ago and I'm gonna include the safe ways to get home on Uber and Lyft if you're going to a party, so that you don't have to worry about people getting too drunk along the way. So go out there and celebrate all the holidays. Get your newsletter out to your sphere. Put the newsletter, if you can, make a pdf of it and put it on your website and then share that on social media. So Bob McCranie, Texas Pride Realty. Get your newsletter out, celebrate everyone because, you know what? They all buy houses and we need that money, so let's sell those houses. Take care. Bye-bye. Hey everyone, this is Bob McCranie with Texas Pride Realty and your realty idea of the day is holiday card requests. I do this one every year when I send out my Christmas Cards, I ask people "Hey, do you want to be on my Christmas Card list, private message me your address and your information." I add more people to my sphere of influence each year just by asking if they want a holiday card from me. Now this year, we're getting married, so our holiday cards will be the first holiday cards sent out as a married couple, so I'm going to go out there and ask, does anybody want to be added to the list, and I know I'm going to get a ton of people. So ask them, get their information, get their name and address and maybe some, a little personal details about them., add them to your CRM, add them to your sphere of influence. Bob McCranie, Texas Pride Realty, get your Christmas Card list out, I would love to be on your list. Private message me your address and I'll put you on mine and I'll send you my address you can put me on there. So I'd love to get Christmas Cards, take care. Bye-bye. Hey, everyone. It's Bob McCranie with Texas Pride Realty, and your Realty Idea of the Day is review your goals with your sphere. We're coming to the end of the year. We're probably in business planning for next year. Now is a great time to be talking to people about what your goals were for 2018, how close you are coming to making those goals, how they have been a part of you achieving the goals, and how thankful you are that you are where you are with your goals. So go over them and say, "You know what? January, I had this that I really wanted to accomplish. Here's what I got, here's what I did, here's the amazing thing that happened. You were a part of that for me. I so appreciate you. Here's my goals, maybe, for 2019." Go ahead and preview those. So make people part of your accountability. Make them part of your success. Tell them how grateful you are for them. This is a great video idea, by the way. This is a great Facebook Live video that can then live on Facebook forever. I've seen a couple of really heartfelt Facebook Lives recently. Go out there and do this. Bob McCranie, Texas Pride Realty. Another Realty Idea of the Day posted tomorrow. Buh-bye. Hey, everyone. It's Bob McCranie with Texas Pride Realty and your Realty Idea of the Day is local Giving Trees. So, Giving Trees are obviously where kids can post on a little piece of paper what they want for Christmas. And you go grab that sheet of paper off the tree, you go shop, you find it, and you bring it back and put it under the tree, and then the charity goes and picks them all up and delivers them to the kids for the holidays. I know that there are a few of them around here. Norma's Diner is a chain around here. Norma's has Giving Trees. I know a lot of the malls have Giving Trees. So maybe you could be a spotlight in your community where people could go to donate some toys, or to donate to these Giving Trees and help people less fortunate than ourselves at the holidays. And you don't wanna be showy about this or brand it or anything like that, but you want to be a participant in your community so that people know, oh my gosh, this person's a resource in my community. When I need help, I can go to them. Anyway, Bob McCranie, Texas Pride Realty. There'll be another Realty Idea of the Day posted tomorrow. Hey, everyone. It's Bob McCranie, with Texas Pride Realty. And your realty idea of the day is table suggestions for Thanksgiving. So, let's talk about place settings. Let's talk about glassware, let's talk about silverware, what order do they go in. Let's talk about decor that you can put on the table inexpensively. Let's talk about how many people are gonna be there. By the way, the best place to get a tablecloth that runs the whole length of a 40-person table, go buy a bolt of fabric at the store. Go buy a bolt of felt, basically, and just put it on the table. It looks amazing. Trust me, I've done this. So you can talk about all the different decor ideas. And you can ask people for their suggestions and pictures of their tables from previous years. So this would be a great post to get people interacting. So, Bob McCranie, Texas Pride Realty, they'll be another realty idea of the day posted tomorrow. Bye-bye. Hey everyone, it's Bob McCranie with Texas Pride Realty and your realty idea of the day is Christmas Stamps. So each year when I was a kid I would love to see my moms mail come in because we would get these really cool Christmas Letters and Cards, but the stamps the stamps are what I really loved. I loved to look at the different designs. Every year there's a different religious design, there's a Santa Claus, there's a non-denominational holiday design, now there are Kwanza Designs, so I think there's even Hanukkah Designs as well, so go out there and look at the holiday stamps that are coming from the U.S. Post Office maybe you want to talk about stamps that are from other countries for the holidays and compare post them, this is a great visual post, this is something you put on your Facebook, Pinterest, maybe your Instagram. Ask people to vote for their favorites, ask them how many cards, stamps they buy each year, because you know what, I send out about 300 cards, so I always buy a lot of stamps. Anyway, Bob McCranie, Texas Pride Realty, your realty idea of the day is holiday stamps, go out there and just have fun. Bye. Hey, everyone. It's Bob McCranie with Texas Pride Realty. And this one may be a little late for Thanksgiving, but it's still pertinent for Christmas. Holiday travel tips. Oh, my gosh. Whether you're taking the train, taking the car, taking the airplane to grandma's house, whatever you're doing, there are tips on how to make it better. Like arriving at the airport early, or not packing things in the wrong bags, or if you're in the car having plenty of drinks and snacks in the car just in case you get stuck in traffic. Let's talk about the tips and tricks you can have for travelling either with children or travelling by yourself, so you don't get too tired. Have something that you can talk about to your sphere about holiday travel tips, things to keep the kids occupied. Maybe there's something new on the iPads or something that people could use with their kids that is kind of cool. Anyway, I leave it to you, but there are lots of ideas out there. Find the best one for you. Bob McCranie, Texas Pride Realty. There'll be another realty idea of the day posted tomorrow. Bye, bye. Hey, everyone. It's Bob McCranie with Texas Pride Realty. And your realty idea of the day is one I think we kinda touched on a few days ago, but let's get really into it, food drives. Food drives and food pantries in your area. So I know at my local grocery store if I go shopping there, they have these pre-made bags of groceries 10 bucks added to your bill. And those bags go straight to the Homeless Shelter and the food pantry. You can have a food box in your office and you can do a pop-by for everybody and say, "Hey, does anybody have any food? Do you want to donate? I'll come by your house." Shake hands, see how they're doing, talk about how great their...pretty house is, grab those bags and take them to your office. Have a competition between you and the other brokerages in town to see who collects the most food. Let's do things at the holidays that frankly we should be doing the rest of the year. And talk about food, drives and the hunger and the need for sustainable food sources in your community for those who are less fortunate. Bob McCranie, Texas Pride Realty. There will be another realty idea of the day posted tomorrow. Bye-bye. Hey, everyone. It's Bob McCranie with Texas Pride Realty. And your realty idea of the day is spotlighting local businesses. So this is something we should be doing more and more. Gary Vaynerchuk talks about how we should be the "Electronic mayor of our town." So you wanna go out and do some video. You wanna take some still pictures. You wanna upload these to Google Maps, by the way, Maps is a platform, get on it. You want to be doing 360 pictures if you can. Go out and interview a local business owner and then put them on your blog. Introduce them to your sphere of influence. Let them know about this great store, this great restaurant. They will love you for it. So, Bob McCranie, realty ideas per day. Your realty idea is go out and find a business you love and it'll make everybody else love it too. Be the "Electronic mayor of your town" so that when people move there, they know where to go and what to do. Where is the best Mexican food? Where is the best place to get your cleaning done? Where's the best place to get your car washed? Figure it out and tell people how they're going to live when they move to your town. Bye-bye. Hey, everyone. It's Bob McCraine, with Texas Pride Realty. And your realty idea of the day is Veterans Day. So, 11/11 is the armistice of World War I. It was officially declared Veterans Day, and we need to show how thankful we are for veterans. So go out on your social media, each one of them, and post something about Veterans Day, the five branches of service, be sure to include coast guard, they're a branch. And, you know...sorry, grandson of a coastguard's man. So you want to get out there and talk about Veterans Day, and how thankful you are. Keep your patriotic without going overboard, and just have an acknowledgement of how thankful we are for the service that they give. So, Bob McCraine, realty ideas per day. And again, don't brand this too much, just keep it about the veterans. So go out there put this on your social media. And I will send you another reality idea of the day tomorrow. Bye-bye. Hey, everyone. Bob McCranie, with Texas Pride Realty. Your realty idea of the day is dining room choices. So we're coming to the time of the year the probably one or two times of the year where you will use your dining room. If you're having people over to eat you will have a need for, you know, 4 to 6 to 20 people to sit around your dining room table. So let's talk about dining room choices now we're a little early in the month. Let's talk about plating and maybe we talk about how tables should be set, maybe something elegant we can put on the table. Or we can talk about dining room furniture, the size of dining rooms. Maybe this is a good question for you to put out there, do you have a dining room where 10 people can sit down? Let's go find you that house. So I know... I serve Thanksgiving for 35 or 40 people. Honest to God I do. But we do it in the backyard because we have room for the tables, there's no way I'm getting that in the house. If it rains, God help us, we'll just find a place to eat. But find out what people need for dining in the holiday season. Let's go sell them that home. Let's talk to them about why a larger dining room might be fitting for their friends and family at the holiday season. Bob McCranie, realty ideas per day. There will be another realty idea of the day posted tomorrow. Bye, bye. Hey, everyone. It's Bob McCranie with Texas Pride Realty, and your realty idea of the day is market trends. We are now well into the fourth quarter of 2018, and it would be a great time for you to bring everybody up to speed on how homes are moving in the end of the season. So, I don't know about your market, but in my market, we need about 30 days to close a deal. Whatever we get in needs to be in in November so it closes in December. Unless you just get a cash buyer which, yes, is wonderful. So, go out there, talk about market trends, talk about how houses are doing, is it still a seller's market? Is it becoming a little bit more of a neutral market? Buyer's market? What is happening in your area? Market trends are something people wanna hear. Now, we're doing all these other posts about, you know, costumes, and Halloween, and Thanksgiving, and all this other stuff, so that these posts get through, okay? So, you gotta be talking about all the fun stuff to get people attracted and dialoguing and then this sort of thing will happen. Bob McCranie, realty ideas per day. There'll be another realty idea of the day posted tomorrow. Bye-bye. Hey, everyone. It's Bob McCranie with Texas Pride Realty. And your realty idea of the day is protecting pets in the cold. So we are about to get, in Texas we're told we're going to get a wetter, colder winter, which only happens apparently when we try to host a Super Bowl, which we apparently tried six or eight years ago and got iced over for four days. But, and by the way I don't care a thing about football, so don't hit me back with Dallas Cowboys, I don't care. So if you have pets in the winter, you need to have suggestions for how to take care of them, how to keep them warm. If there's a pet rescue nearby, do they need some blankets? Do they need some little warmers? I'm sorry, room heaters, things like that. Talk to people that have pets, let's find out if there's a need in the community, if there is pets that we know are always outside that we can help take care of some way. Find out what to do for pets in your community and then go out and talk about it. Everybody loves dogs and cats. So let's do that. Bob McCraine, realty ideas per day. There will be another realty idea of the day posted in your box tomorrow. Hey, everyone. It's Bob McCranie, with Texas Pride Realty. And your realty idea of the day, is volunteering at seniors centers. Now this is when I talk about a couple times through out the year. We're coming up on the holidays, seniors are lonely. They don't have family around sometimes. Maybe they're not going to see their family during the holidays. Maybe they're alone. So go volunteer at a seniors center and maybe take 5 or 20 people from your office there as well. And it doesn't have to be like, you can go to a senior care facility, but you can also go to the city. Most municipalities now have seniors centers that people go to as a day thing. And you can go there and just kind of help serve lunch, and sit among the ladies and the gentleman, and play cards or whatever. Just have a day where you go volunteer there and go meet people and just say hi. So seniors centers at the holidays, critical time. Holidays are a time of much joy, they can also be a time of much depression. Go to the seniors centers, help out somebody. Bob McCranie, realty ideas per day. By the way, post on your social where all the seniors centers are. Get more people to come with you. Bye-bye. Hey, everyone. It's Bob McCranie with Texas Pride Realty. And if I time this right, it should be Election Day. Go out encourage everybody to vote, try not to take a side, I know it's super hard, we all have our opinions. I certainly have mine, I've taken all my political opinions that I can keep out of the way and I put them into a private group. So, there's a private group that nobody, except for my friends, gets into and that's where I can say anything, but I don't put them out in the open. So, encourage people to go out and vote. Congratulate the winners if you feel so engaged. Talk about the future of the community, but do so in a way that's not going to polarize at least half of your audience no matter which way you stand. I do believe that people are drawn to you if they agree with your opinion, and they're pushed away from you if they don't. So, those who are drawn to you will be drawn to you. They'll figure you out. Those who are not going to be drawn to you, you don't need to put it in their face. Bob McCranie with Texas Pride Realty. Happy Election Day. Go out and vote. Hey everyone, it's Bob McCranie with Texas Pride Realty, and your realty idea of the day is winterizing your home. Now I live in Texas, so we go through summer, summer, half a day of fall, and right into winter. So depending on your part of the country, you may need to have your furnace checked. You may need to have oil put into the reservoir for the furnace. You may have to have your roof done, ceiling, windows, and trim and paint and things like that. Anything to make your home weatherproof and cold proof would be beneficial. So, I don't know your part of the world. Educate me. What do you need to do? Do you have a need to have a stockpile of ice, in case it...I'm sorry, ice, salt in case it ices up? Maybe you need to get some new snow shovels or get your snow blower checked or whatever it is you do. Put it out there, tag me in it. I would love to see what other parts of the country do throughout the winter season. Bob McCranie, Texas Pride Realty. There'll be another realty idea of the day posted tomorrow. Bye-bye. Hey, everyone. It's Bob McCranie with Texas Pride Realty. And your realty idea of the day is one that I see a lot of people do right now. It's the 22 days or 24 days of thankfulness. Okay? So, there's 22 days to Thanksgiving, and they post something every day that they're thankful for. So, you can make it about anything you want to. You can do it in pictures. You know, here's 24 days or 22 days of things I'm thankful for. You can do it with words each day. Write a little paragraph. Just have something that people begin to expect to see so that every day they expect to see something new from you. And now it's themed about Thanksgiving. So, 22 days of thankfulness this year and start with being thankful for your clients, being thankful for your family, being thankful for your car, being thankful for whatever it is you're thankful for. I'm thankful for you. Bob McCranie, realty ideas per day. There'll be another realty idea of the day posted tomorrow. Bye-bye. Hey, everyone. It's Bob McCranie with Texas Pride Realty and your Realty Idea of the Day is Thanksgiving recipes and Thanksgiving cooking. So what we want to do right now is we want to go out on social media and we want to ask the question, "What's your favorite Thanksgiving dish? What's maybe a family recipe that you've had? What's some food that you'd love to have for Thanksgiving?" Let's have a photo contest, let's have a recipe contest. Let's find some way to...maybe if we get really good recipes, we can have a little cookoff. We can have a little challenge, have people vote for which one you want. Ask questions on social media. This is a great question. It's a photo question. People can put that on your Instagram or your Pinterest or your Facebook. It's a recipe question. People are gonna make their little videos, or just list what's in the ingredients. So foods at Thanksgiving, what's important in your family, what do you want to see on the table, give us a recipe for it. Bob McCranie, Realty Ideas per Day, there'll be another Realty Idea of the Day in your mailbox tomorrow. Bye-bye. Hey, everyone. Bob McCranie with Texas Pride Realty and we're gonna continue a blog from a couple days ago. A couple days ago, we told people, "Hey, on Halloween, send us your best costumes that you see and there'll be a contest." Today is contest day. So what we wanna do is we wanna post the best pictures we got, put them into an email, send them out, and recognize maybe the best kid's outfit, the best adult's outfit, the most scary, the funniest, dog/cat outfits, pet outfits, whatever. Come up with categories so there's a lot of winners. And then, what you do is you let everybody know that, "Hey, there were so many good entries this year. Everyone's gonna win a Starbucks card. Everybody who entered is gonna get something." And then you go do pop bys with all those. And you go see people and say, "Hey, that was a great costume. Here's something from me at Banana Realty, think of me anytime somebody's about to buy or sell a home." And that's a great way to include people, make them feel like a winner and get those great pictures in and then everybody gets a little reward for thinking of you. Bob McCranie, Texas Pride Realty, there'll be another Realty Idea of the Day posted tomorrow. Bye-bye. Hey, everyone. It's Bob McCranie with Texas Pride Realty and your Realty Idea of the Day is time change, obviously, we're gonna send that out, everybody remembers to send that out, but also, time to change the battery in your smoke detector. So I'm huge about fire safety. If you watch me, I talk about fire safety at least two, three times a month if I can. Changing the batteries is important. Now, some smoke detectors are coming with lifelong batteries, that's great. But there's still a lot of smoke detectors out there that require the square 9-Volt batteries. I would go buy 20 or 30 9-Volt batteries and do a pop by and say, "Here's two batteries, go change your smoke detectors. Do you need three, do you need just one? Do you need somebody to come in and, you know, if you can't get on a ladder, do you want me to get up there and change it for you?" Fire safety is incredibly important and we need to have working smoke detectors throughout the home. So talk about that. People will get the time change. They'll understand that. They won't remember to go change their batteries. Help them with that. Get some batteries. Take them around, hand them out to people. And then post about that on your Instagram, on your Facebook, on your Twitter. You can even do that on LinkedIn. And just talk about, "Hey, I'm out with Steve today and we're changing batteries for people. If you need some, let me know." Bob McCranie, Texas Pride Realty, there'll be another Realty Idea of the Day posted tomorrow. Bye-bye. Hey, everyone. It's Bob McCranie with Texas Pride Realty and your Realty Idea of the Day is Halloween through history. So, you know, we don't want to get into anything too controversial about the roots of Halloween and where it came from historically, but maybe you can go into what Halloween meant to you as a kid. Maybe you can talk about some of your costumes growing up that either you made or your folks helped you make. I remember when I was growing up, we had these big plastic masks that held on with elastic and the kind of nylon suits when I was like 5 or 7 years old. And then my mom made some costumes which are really cool. But the store-bought things were just kind of clunky and awful. Maybe you can have some pictures, if you have them, of you as a kid in Halloween costumes. Talk about the history of Halloween as it meant to you. What was your favorite candy to get in the bag? What was something that your folks warned you about? "Watch out for the guy down the street with the knife." Or no, no. Did you go out to haunted houses as kids? What was it about Halloween as a kid in your history that made that important to you? Go on your social media, do a video about it, post some pictures, get as many comments as you can and then comment back. Bob McCranie, Texas Pride Realty, there'll be another Realty Idea of the Day posted tomorrow. Bye-bye. ​​​Now is a great time to remind people that small kids will be out in big costumes focused on candy. They won't be looking both ways and drivers need to be more alert. Hey, everyone. It's Bob McCranie with Texas Pride Realty, and your Realty Idea of the Day is Best Chili Recipes. Now, this is one that you can ask people to contribute pictures or text recipes, however, they want to do it. I love watching the little video recipes. I don't cook, I watch how they make stuff, anyway. So the best chili recipe, which one is the best for you, which one is your sphere...maybe you have a chili cook-off, maybe this will lead to an event where you can have your clients come in and test all the different chilies and offer a prize and be in the middle of it all. So best chili recipes. Now I know regions have different styles of chili. I know Texas supposedly, you don't put beans in Texas chili. I like beans in chili, so I must not be from Texas. And then you have things like Cincinnati chili, which is served over spaghetti and it's sweet and it's actually really good. So every region has a different idea of what chili is, just like they have a different idea of barbecue. So let's talk about that and get the best recipes and post them on our social media. Bob McCranie, Texas Pride Realty. There'll be another Realty Idea of the Day posted tomorrow. Bye-bye. Hey, everyone. It's Bob McCranie with Texas Pride Realty, and if you're like most people who are real estate agents, social media is something you put up with, and it's not really what you love. Unlike me, I love it. So my challenge to you today is let's add a new social media to your group. So one thing you could do is go on the social media that you have like Facebook or Instagram and ask, "Hey, what other social media platforms are you on? I'm growing. I want to know where to move my next platform to." It could be YouTube, it could be Instagram, it could be Snapchat. It could be whatever you wanna do. Quora is a new one. So let's go and talk about where the new social media platform is and which one you want to go to. And frankly, you can Google this because there's a lot of new platforms that we don't even know what the next one's gonna be. So, what is the new social media platform? Ask your current sphere where they see their friends going to and then join it. Take care. Bye-bye. Hey, everyone. Bob McCranie with Texas Pride Realty and your realty idea today is leasing homes. Now, we all know that buying a home is your best investment because you're going to be building equity versus paying for somebody else's equity in their lease home. But sometimes you just have to. Sometimes you either don't have the down payment or you're only going to be living in an area for a short time. Leases are there. So let's talk about how much it cost to lease a home in your area, what makes a really great tenant if you've got a lot of convictions and some bankruptcies, and 17 cats. You're probably not gonna be a good tenant. So let's talk about the pricing in the area, the best way to strategize to get your tenant application put through, and maybe what landlords are looking for right now. Anyway, Bob McCranie, Texas Pride Realty. Let's talk about leasing houses in your market. Take care. Bye-bye. This is Bob McCranie with Texas Pride Realty and your Realty Idea of the Day is candy corn. Now, I never realized what a national crisis would ensue when I let people know that I love candy corn because apparently, some people just can't stand it. Candy corn is amazing, I love it but... So put it out to your group and your sphere on Facebook or on whatever social media you want to. Do you like candy corn, or do you hate it? You will find people are one way or the other, they're not both. So get in the middle of that. It's kinda like the Coke and Pepsi challenge. Some people love Coke, some people love...very few people love Pepsi, let's be honest. So let's talk about candy corn. Let's talk about what candy during the Halloween holiday can you just not go without, every Halloween you gotta have it. So anyway, candy, candy corn, Halloween. Let's talk about that, let's have some Facebook polls. And we'll see what we want for our trick or treat bags this year. Take care. Bye-bye. Hey everyone. It's Bob McCranie with Texas Pride Realty, and if I timed this right, today's the first day of October. So the question I have for you today and you can ask your sphere of influences, do you do scary Halloween spooky? Or do you do fun Halloween? I like to do fun Halloween, I don't like to be scared. So I don't get all the scary movies that come out during the season and I don't get into the vampires and werewolves, but I love the fun of Halloween. So this is something you can ask your sphere and you can post this as a poll on Facebook because Facebook loves polls now. If you're not doing polls, you need to be doing polls. Find a picture of a vampire, a picture of something fun, and just ask people which version of Halloween they prefer. So this is going to be a great...you've got three great months here with three national holidays between, you know, the Christmas season, Thanksgiving season, Halloween season, harvest, whatever you want to call it, you've got ample opportunity. Get in front of people. Scary spooky or fun Halloween, which do you prefer? There'll be another Realty Idea of the Day posted tomorrow. Hey, everybody. It's Bob McCranie, with Texas Pride Realty. And your realty idea of the day is HOA's why or why not? So a lot of homes, especially new home construction in Dallas, has an HOA, you know, with it. So people are wondering how do I buy a home anymore without an HOA? Well, you have to by an older community. You have to go buy a home built probably before the 1990s to get in a community that does not have an HOA. If you're living in an apartment or a townhome community you wanna have an HOA, because they're the ones who maintain the common element. They maintain the roofs, the wall space, the structure, the foundation, things like that. So... And plumbing, windows, things of that nature. Every HOA is different, there is no standard in Texas for what an HOA has to have, to my knowledge. Every HOA I've run into has a different set of rules and a different set of reasons. So talk to your client about what they want in an HOA, or do they wanna live outside of an HOA community. Hey, everyone. It's Bob McCranie with Texas Pride Realty. So we're going to hit on this one again, flooring choices. So go to the home store of your choice and go look at the flooring section. Look at the different styles of carpet, look at the different styles of tile, Pergo, there's all sorts of new vinyl product that looks like wood which I don't think looks good in the house, but I think it looks good in an industrial setting or a commercial setting. Go find the flooring center of your choice, talk about the different products they have for sale there and the price points. Maybe you interview one of the local people to talk about installation and how that would work, but flooring is a big improvement that you can make in your home. If you go to sell a home that has crappy carpet or bad flooring, you're not going to be able to sell it. So let's give them choices and let's have some video and some pictures so that as you're doing a listing presentation, you can give them some ideas. Hey, everyone, I just want to wish you a Happy Yom Kippur, and if this is not a holiday you know about, let's go find out about it because it's today. So, we wanna recognize people of all faiths and cultures in our community, and we want to be open to everyone. So on your social media, I'm gonna urge you to celebrate not just the holidays you celebrate but celebrate the holidays you've never even heard of or maybe the holidays that you've heard of and you don't know that much about. Be open to everyone and be a resource to your community. So, Happy Yom Kippur to my Jewish friends, and there'll be another realty idea of the day posted tomorrow. Bye-bye. Hey, everyone, it's Bob McCranie with Texas Pride Realty. And today's realty idea is gonna be very somber, 9/11. It's interesting to me there are some people who were not old enough to remember 9/11 now. And for those of us who lived through it, it's marked in our brains. So, maybe we talk today very quietly about the memorial. Maybe we talk today about what it meant to us and then we stay pretty much quiet the rest of the day and just listen. And that may be what we put on our social media is just a question. What does 9/11 mean to you? And see what the response is and then don't really judge any responses, just say, "Thank you for the response," build that connection. But today would be a day that I'm quiet and I will listen to what other people post on my thread and then tomorrow I will be much more active. So, take care. Have a great day. Keep safe. Favorite Part of the Season! Hey, everyone, Bob McCranie with Texas Pride Realty and today, if I timed this right, should be Labor Day. So, you're thinking to me, "Bob, I don't want to work on Labor Day. I've worked so hard, I don't wanna work." Today is the day where most everybody is sitting around the house doing this with their phones. Be in front of them. Get on your social media, get on every one of them you can and start doing some posts and get in front of people while they've got their brain focused on their thumbs, okay? National holidays are not a day off for real estate agents. Get on your social media. Now talk about Labor Day. Talk about maybe whatever you want to about like what you're doing, your party, your barbecue, just lounging at home, or out showing houses and prospecting. But today get in front of them because they're available so let's not take today off. Anyway, Bob McCranie, Texas Pride Realty. There'll be another realty idea of the day posted tomorrow. Bye-bye. Hey, everyone, it's Bob McCranie with Texas Pride Realty and your realty idea of the day is the State Fair is coming up. So, if you're not from Texas, in Texan Dallas, we have the State Fair. It comes in the middle of September, but now is the time to be planning what week you wanna go, how to get your discount tickets. There's always fried foods and different things with the fair, different contests. So talk about what was your favorite fried food from last year. Like, they do fried Oreos, and fried hotdogs, and fried butter. Butter, why? I don't know. Anyway so it's always a fun time and start talking about it now. Maybe you can plan an event with your sphere to go to the State Fair together, and that would be really cool. It'd be an outing. So, I'm gonna steal that idea. That's a great idea. So, what if you talked about on your social media about the State Fair? Maybe post some pictures from before that you've gone, and talk about going again today or this month as a group. Hey, everyone, it's Bob McCranie with Texas Pride Realty and your realty idea of the day is flu shots. So, it's autumn and it's the time that flu shots are being given out. There are so many locations giving them, but this is a good time to reach out to your sphere. One, mention all the locations where the flu shots are being given and, two, ask people, do they get them. There are some people who are impacted by having a lowered immunity. There are some people who don't believe in flu shots or immunizations. I wouldn't necessarily wanna be the subject matter expert, but I would certainly start the dialogue and see what people think. So, flu shots, maybe have a list of where they can go. Maybe you have a little grouping and you say, "You know what? Let's go get our flu shots together and that way we'll be there for each other." Have a great lunch afterward and just get to hang out. This will be a great way to meet up with your sphere. Anyway, this is Bob McCranie, Texas Pride Realty. Hey, everyone. It's Bob McCranie. And your realty idea of the day is "Best Parks." So every city, at least in Dallas, I mean all the suburbs and the city of Dallas have parks. I mean, which ones are the best? And which ones are the best for what? So we have some parks have a good for hiking and biking. We have some parks that are good for kids. We have some water parks that are kinda like splash parks. Splash parks are the new way of doing a pool, I guess. So which ones are out there for you? We also have nature preserves, we have hiking trails, we have all sorts of things in our parks and recs. Now the other thing you might do is if you're in your city you want you might go interview the person who's in charge of the parks department for your city. Talk about what their future expansion plans are, maybe where are they going to put the next kid's park? What equipment are they seeing that they're gonna phase in or phase out? What is it that they're doing in the future with their pools? Best Restaurants for Pets! Where is the best place to dine that is pet friendly or has a great patio that allows pets. Beach Homes & Beach Vacations! Let's talk about teachers in our community and how we can help them! ​​Hey, everybody. It's Bob McCranie, with Texas Pride Realty. And your realty idea of the day is Poets and Writers. So, almost every community I know of has some, sort of, writing group. I know that scrapbooking has become incredibly important to a certain generation​. Autobiography has become important to people. As the elder community gets older, they wanna write down who they were and what they've been through. So let's find the writers groups. Let's feature a couple of writers in our blogs. Let's talk to people about what it's like to be them and why they are writing their story. Let's get out there and find those writers groups and give them a voice on your Facebook or on your Instagram, and give them an outlet to have their story told. Anyway, Poets and Writers is the theme today. Bob McCranie, Texas Pride Realty. They'll be another realty idea of the day posted tomorrow. Take care. Bye-bye. Hey, everyone. Bob McCranie, with Texas Pride Realty. And your realty idea of the day is Home Automation. We are talking about Alexa, we are talking about Google Home. Let's talk to our sphere of influence, see how many people have them already, see how many don't understand them. This would be a great post for Facebook, this would be a good post probably for Instagram, if you want to post pictures of what the two products look like, maybe have a side by side poll. By the way, polls are a great thing on Facebook. Polls get more ratings than a lot of other things. So, maybe you can have a picture of the Alexa, a picture of the Google Home, see which one people like the best. And let's talk about home automation and ways that you can use smart thermostats, smart locks, smart switches, things like that that you can do around your home to make it either run more efficient, or just easier to live in. So, also more secure. So you have the home security systems, you have camera systems. Hello everybody, Bob McCranie, with Texas Pride Realty. And your realty idea of the day is "Market Update." Today is the day we need to put out the stats about how we're doing in the market. It's almost the end of the month, or maybe it is the beginning of the month depending on how we pace these videos. You need to talk about how the market is doing. And if things are going well, how would somebody get in as a buyer or seller? So, everybody assumes, at least in Dallas right now, that the market is super hot, and there is no chance to get your bid in. And frankly, that's not true. We've gotten lots of buyers in this year. So, talk about how things really are in the market, break through the new cycle, and be the person who knows, be the source of the data that people can rely upon. If you need information, go to your MLS and pull stats, go to your broker and pull stats, whatever you wanna do. Talk about how you personally have impacted these numbers. Hello everyone, Bob McCranie with Texas Pride Realty, and our "Realty Idea of the Day" is romantic places to have dinner in your community. So, let's talk about the quiet restaurants, let's talk about the restaurants where you can linger over wine, or a drink, maybe we can talk about the restaurants that you can have a romantic dinner in, that aren't super expensive. Find a way to talk about romance in your community, and let's stimulate the idea that people can go out and have a great time with their special someone and spend a lot or spend a little. But most of know restaurants out there that are chain restaurants, maybe some little mom and pop stuff. But where are the romantic restaurants? Where would you go for a quiet lovely dinner? And maybe you can suggest a florist or a limo company, or somebody else to go along with that romantic dinner, so that you can talk about the whole package. List their businesses, blog about them, tag those businesses in the post. Take care! Bye-bye. Hey everybody. It's Bob McCranie with Texas Pride Realty, and your realty idea of the day is realtor education. So one thing I did recently was I paid somebody on Fiverr to look me up versus 100 brokers with a number higher than mine and 100 brokers with a number lower than mine, so basically 201 brokers in this list. I paid somebody on Fiverr to go off the Texas Real Estate Commission website, look up all the hours of education each of us had. I found out that I was number 5 out of 200. So I could then legitimately say I had more education than most of my peers because I could prove it. So one thing you can do is talk about education you've recently taken, maybe you can talk about all the courses you do. Somebody wants to work with somebody who's educated, who knows real estate, not just somebody who just, you know, put their sign in the yard and suddenly they're a realtor. They wanna know that you know what you're talking about. Hey everybody, Bob McCranie with Texas Pride Realty, and your "Realty Idea of the Day" is fencing! Oh my gosh! A lot of us have backyards, do you have wood fence in your area, do you have cyclone fence or chain link as people call it? What are the fencing options in your area? Vinyl fencing, does it hold up? I don't think so, but that's just me. Of course we live in an area that has intense sunshine, so it really breaks down the vinyl. So what are the fencing options in your area, which ones are working best, which one would you do? And if you have fencing, how do you maintain it? I know for wood fencing you have to power wash it and stain it every few years, get it rechecked. If you had hail like we just had hail here recently, you have to get it checked it for hail marks because the hail will penetrate the stain, and create an opening, and then the wood can rot underneath that. Anyway, Bob McCranie, Texas Pride Realty. Hey everyone, it's Bob McCranie with Texas Pride Realty, and if I timed this right, summer began today. So let's talk about summer plans, let's blog about what our intentions are for the summer, maybe we can talk about the summer sales season for real estate, keep it real estate pertinent. All these ideas are about getting you engaged, and so many people don't post because they don't know what to talk about. So I'm feeding you ideas every day. Summer is here. How to survive the summer heat. Maybe we talk about air-conditioning, maybe we talk about heat shelters in the area. I don't know about you but I'm in Dallas, Texas and Dallas is already hitting 100 and it's just, it's way too early for 100. So anyway, talk about summer, talk about your favorite memories from being a kid in summer. Anyway, let's get people, maybe songs with the word summer in its title, you know, songs with word summer in the title, maybe you do a contest for that. Let's get out, talk about summer. Hey everybody, Bob McCranie with Texas Pride Realty, and your "Realty Idea of the Day" is summer reading lists. People are out for the summer, and for some reason reading during the summer is a big thing. I guess kids are out of school, they're supposed to read books, not play video games. But parents are still out there reading as well. So ask your sphere, "What is on their summer reading list?" And then ask them to link, maybe a link to the book that they are reading on Amazon, or a book that they're reading on Kindle, or listening to on Audible. I listen to things on Audible, I don't read much anymore, but I listen on Audible. So go out there and ask people what's on their summer reading list. And then as they comment below, comment back. Say "Hey, that's a great book," or, "Oh my gosh, I will look that one up." Create that connection, because when you comment on their comment it creates the bond that brings everybody together. Bob McCranie, Texas Pride Realty. There'll be another "
Hey everyone, Bob McCranie, Texas Pride Realty. And if I time this right, it's Father's Day. Your "Realty Idea of the Day" is to talk about fathers. Talk about maybe father role models in your world. Maybe you did or didn't have a father, maybe your father is already gone, I don't know. Talk about fathers, father figures, talk about national father figures. Maybe we can talk about politicians or people in our society who have been role models for men in the community. Anyway, Bob McCranie, Texas Pride Realty, let's celebrate fatherhood, let's talk about our kids. Maybe we are a father ourselves, and we can talk about the honor and the trials and tribulations of being a father. Anyway, Bob McCranie, Texas Pride Realty. Go out and celebrate the fathers in your world. Take care. Bye! We each have or favorite apps for real estate. Let's post and share them so our clients know what to use. Everyone loves pets. Let's share our love of our furry family on social media and make more connections! Let's talk to our sphere about their Summer Reading plans. Ask for their suggestions. Find out what books they're reading. Share book links on your social media platforms. Today is a day to celebrate fathers and father figures in our world. This would be an occasion to do Facebook Live or post pictures on Instagram. People want to know how they'll live in their new city. Let's talk about the arts in our city. Today is Flag Day. Talk to your sphere about what the flag means to you. Great opportunity to pictures & video sites. Where would you live if money were no object? Let's talk about financing options that our buyers can use to get homes! Here’s a daily topic coming at you. Now go out and make those videos and those posts!